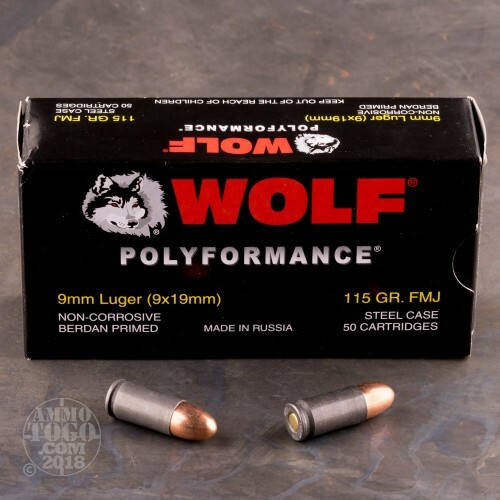 Wolf 9mm ammo is one of the most economical choices you can make if you've got a range trip planned for training or plinking. 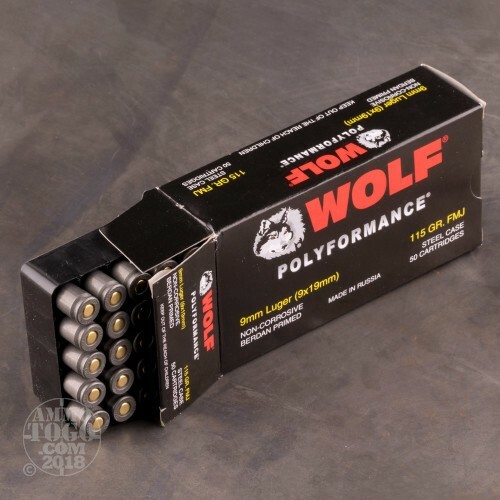 Formally known as Wolf Performance Ammunition. 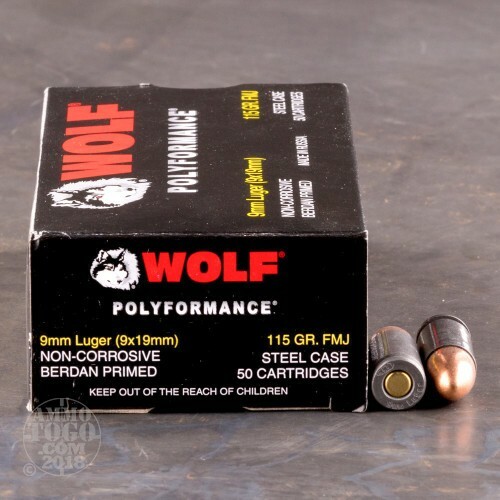 These rounds are part of Wolf's Polyformance series and is a 115 grain, full metal jacket Ammo. This bulk ammunition is manufactured in Russia. Each round is Berdan primed, non-corrosive, featuring a polymer steel case sealed for moisture protection. 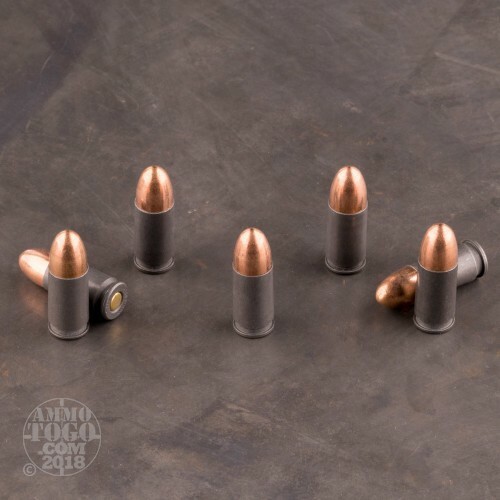 It comes packed in 50 round boxes so you'll get 10 boxes ready to take with you on your next range trip if you order today. Wife and I did some shooting this past weekend. We had received 500 rds (9mm) of wpa on Tuesday. Not one issue. posted on 12/3/16 by Joshua A. This is the first review I've written. Ammotogo was fast and I have no complaints. The ammo was in perfect shape and I shot all 500 rounds. It was a bit dirty but I knew that was the case already. Overall I'm very pleased with my purchase and I'll be buying from Ammotogo again.